Fewer things are more reliable in life than a German band playing old school metal. SCORPIONS, RUNNING WILD, ACCEPT and HELLOWEEN have had their occasional missteps here and there, but overall, the metal output of the land of sauerkraut is as consistent as their cars or their soccer skills. It’s no surprise then, that REFUGE’s debut album sounds as good as it does. Having played together in one of the most successful lineups of RAGE, Peavy Wagner, Manni Schmidt and Christos Efthimiadis united again in 2014, under the “Tres Hombres” moniker. Originally a one-off show, it was never promoted, apart from word of mouth and social media rumblings. As a result, this show became one requiring an insider tip, but more than 1200 fans found their way to the gig. The band performed all the hits from their time together in RAGE and loved every second of that gig, getting hungry for more, thus the idea of REFUGE was born. The same lineup played a couple of hugely successful festival shows all throughout Europe in summer 2015. More shows were played in 2016, and not surprisingly, record labels approached the band and offered deals for an album with new original songs. The result was a contract with Frontiers Records, and new album Solitary Men, released in June 8th. It has everything you would expect from a German metal band: soaring guitars, raspy vocals, thundering bass and drums, and an endless wish to raise a glass of beer with a fellow metal-head. With a cover that looks like a cross between IRON MAIDEN’s Fear of the Dark and DESTRUCTION’s Eternal Devastation, everything on Solitary Men alludes to the late 80’s/early 90’s, a period where everything was a bit simpler and more straight to the point. The lyrics are unmistakably metal, dealing with themes like asteroid collisions (Summer’s Winter), reincarnation (From The Ashes), terrorism (Living On The Edge Of Time), loneliness (The Man In The Ivory Tower) and inner fears (Waterfalls). Since all three members have higher-paying gigs and families at this stage, the whole album was recorded over a period of two years. Moreover, although several song ideas stem from the RAGE sessions back in the day, everything sounds fresh and inspiring, with all three members now being much more mature and relaxed. The first sounds of opener “Summer’s Winter” seem like a rusty piece of metal is being dragged on the ground and a siren-like guitar soars, to reveal fast riffing and singalong verses and choruses. Follower “The Man in the Ivory Tower” reaches closer to hard rock/AOR territory, and “Bleeding from Inside” is a fast paced number with an interesting breakdown in the middle. As the album progresses, the laid-back attitude of the trio is clear: they are back indeed, but with no firm agenda, no obligation to make REFUGE “a serious entity”. Solitary Men closes with the metal stomp of “Hell Freeze Over” and the slow burner “Waterfalls”. These trio sound like three guys doing it for the fun and the friendship – and isn’t that what metal is about in the first place? On fast-paced songs like “From the Ashes” and “We Owe A Life to Death”, one can just imagine blood brothers at a concert, wearing their worn out denim jackets full of patches, headbanging, high-fiving and raising the devil horns up high. Chris’ machine-gun drumming, Manni’s crispy guitar sound and Peavy’s raspy-and nasal voice are here to bring you the metal fix you needed for the second half of the year. And if that wasn’t enough, the bonus track is a revamp of RAGE’s “Another Kind of Madness”, taking that song to a whole new level. 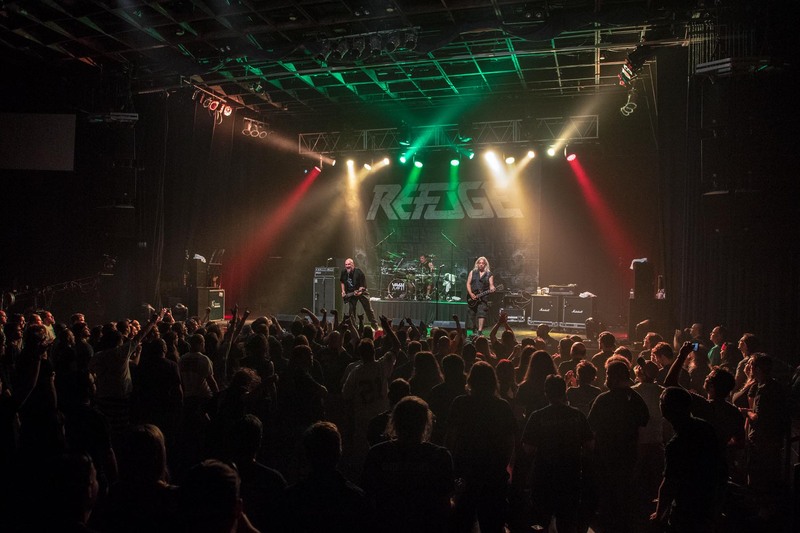 With PRIEST’s Firepower, SAXON’s Thunderbolt and now REFUGE’s Solitary Men, there’s hardly anything else you’ll need in terms of traditional metal in 2018. An outstanding return of three very talented and experienced German wolves, who despite decades apart clearly still have their common mystic in them; this album is at least as worthy as the latest RAGE records, maybe even better. Whether you are a RAGE fan or simply into melodic European heavy/power-metal, if Solitary Men is not on your watch list, there’s categorically something wrong with you. 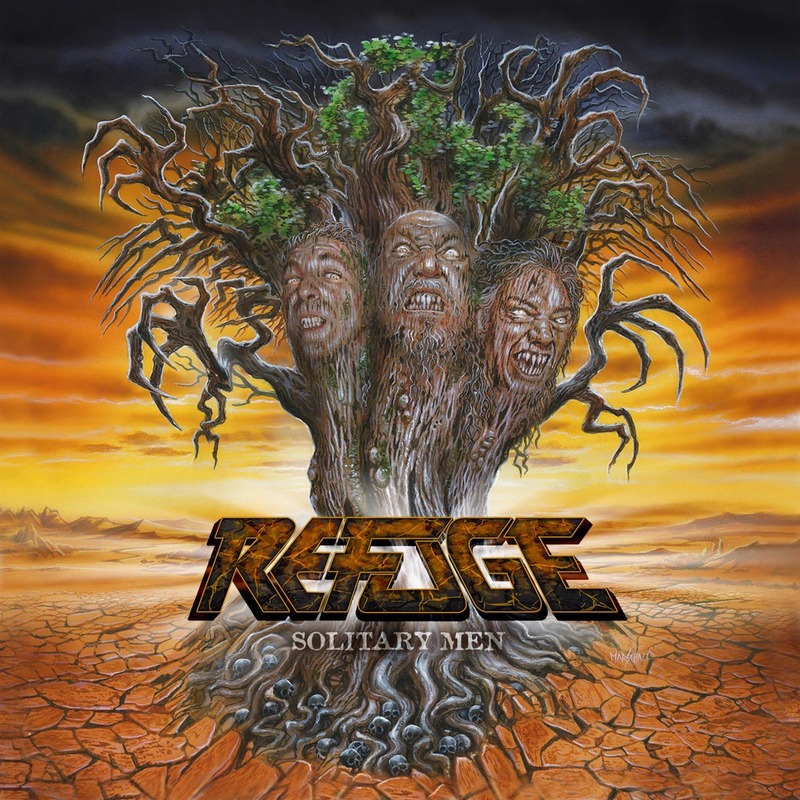 The old chemistry of mid-90’s RAGE is back in full force with REFUGE. Treading familiar territory but with plenty of new ground to cover, these Germans brought a mature and fresh effort, with a sound that is deeply rooted in traditional metal. The undeniable and ever-present Teutonic ability to write metal classics is back!